Spend a week traveling the old Indian roads in grand old style in an expedition that focuses on culture, cuisine, and performing arts that delves right into the heart of Tamil culture. Every day cruise through majestic locations, and every night experience a sumptuous feast of local dishes accompanied by traditional artists. Faster is not always better; so why not slow down, take in the lush Indian scenery, and let India simply happen rather than rushing around from place to place? Don’t miss out on the Bullathon, a unique adventure brought to you by the Travel Scientists, the brains behind the Rickshaw Challenge! 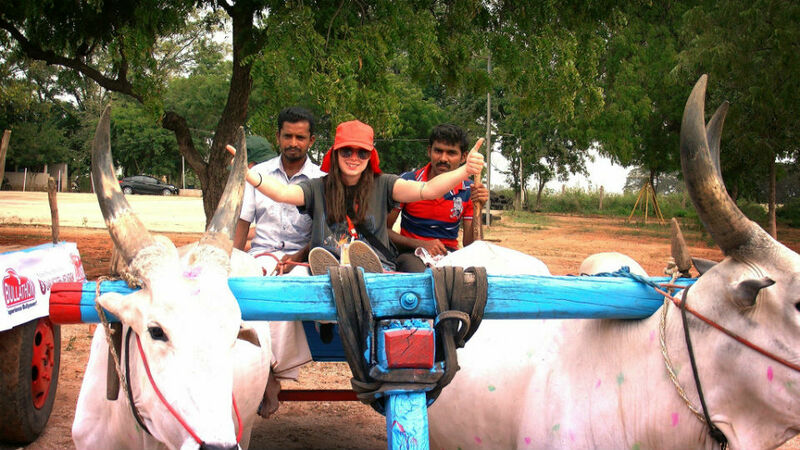 Meet and bond with your own pair of peace-loving bulls, then set off on an adventure! Roll your customized wagon across 160 km of India’s most sumptuous scenery. Every day a bull-drawn parade, every night a waiting feast of cultural and culinary delights. Learn to care and cooperate with your animal team-mates. Support traditional farmers and cattlemen by taking part in the Bullathon, while getting an insight into the centuries-old rooted customs. 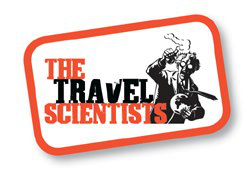 Be the first to know about our newest adventures and special offers and sign up for our occasional The Travel Scientists newsletter!